This painting features the wildlife of the Bahamas. 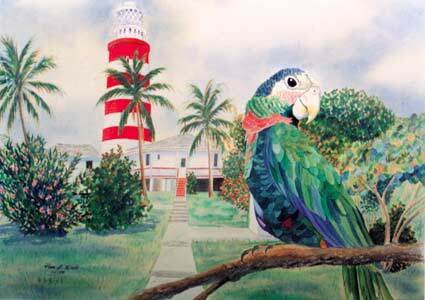 This tropical parrot gazes from his perch near the Hope town lighthouse. 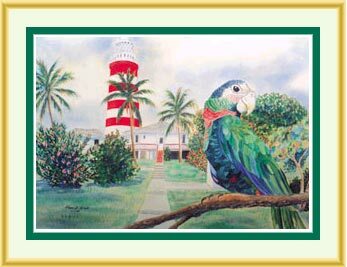 Wildlife paintings by Pam Webb truly capture the spirit of the Islands. Wildlife Paintings - starting at only $19.00, available in 8"x10", 11"x14", 16"x20"